I personally like oatmeal a lot whether I eat them for breakfast or to use them for beauty purposes. Oatmeal can be easily used to make face packs that will make skin softer, smoother and radiant. Oat meal face packs can be made in a lot of different ways to cater different skin types. Oatmeal face packs are very good for sensitive skin as most of the other ingredients can be harsh on the skin and can cause irritation and redness but oatmeal face packs are gentle due to their sticky, pulpy nature. Other than the sensitive skinned people, they can be tried by all. I will be sharing some homemade oatmeal face packs that can be made within minutes. 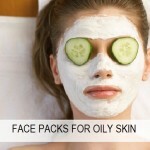 Oatmeal face pack benefits are numerous. 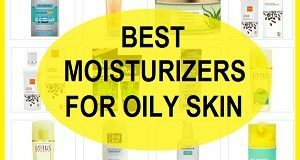 They are good for all skin types and good when your skin is not behaving well or is getting irritated. Even just by mixing milk and oatmeal will make an instant face mask for glow. 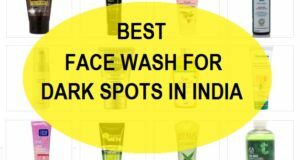 They are suitable for different skin types targeting problems like marks, pimples, acne, dry patches etc. This oatmeal face pack is good for getting a fair skin. Almond and oatmeal both make the skin fair and glowing. Crush some almond in milk and add a teaspoonful of oatmeal. Apply the mixture and wash your face after 20 minutes. 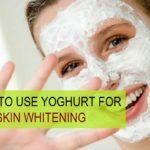 When you apply this regularly 3 times a week, it is bound to give you fair skin. 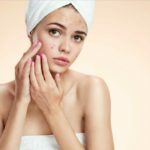 Marks and pimples can trouble teenagers and young adults. This oatmeal face pack with fruits like banana and papaya will make the marks go away soon and skin becomes smoother. Take a teaspoonful of oatmeal and small pieces of papaya and banana that you have to mash. Mix the three with your clean fingers and make a paste. Apply on the face and rinse after 20 minutes. 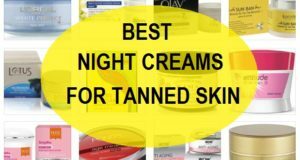 It is good for all skin types. Men can also try this. This is the easiest oatmeal face pack which is good for all skin types and gives an instant glow on the face. 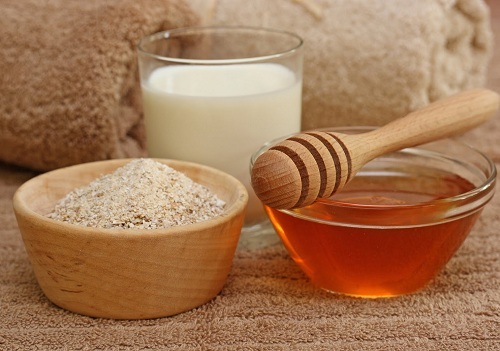 Take 2 teaspoonful of oatmeal and mix it with some honey to make a paste. Add milk, if you need Apply this on the face and wash after 20 minutes. When you notice fine lines and wrinkles on the face that can make you cringe but this face pack with oatmeal and egg white will help you reduce fine lines. Take 2 teaspoonful of oatmeal and mix some egg white into it. Apply on the face and let the mixture get dry. Wash off. We like to use ubtan and homemade face packs to make our skin fairer. 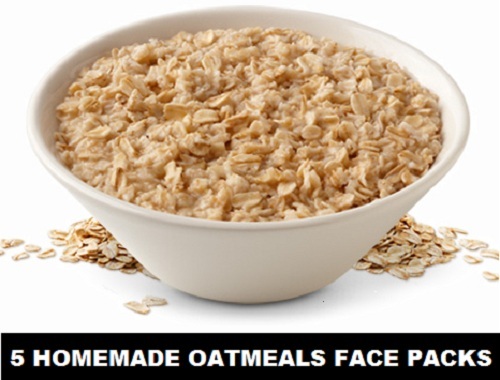 So here is an easy ubtan or face packs with oatmeal that will give you fairness. Take 2 teaspoonful of oatmeal and 2 teaspoonful of besan and 3 pinches of turmeric powder. Make a paste of these three with water. 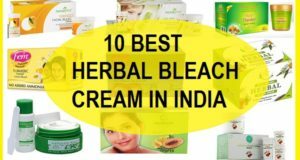 Mam I am 20 years boy & I am doing a marketing job thats why i moved all day in dust and sun.My sking getting darker day by day so which face pack can i ise.Can i use Besan,Haldi,lemon juice as a face pack or any other pack for best results. 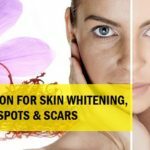 Hi, Yes, you can try that face pack as that is great to get rid of the sun tan, skin darkening etc and I will also suggest you to use sunscreen when you go out since that is the major reason why our skin gets darken over the time. Hi mem.I m 16 year’s boy,my face is very dark,can I use sunscream?what sunscream is best for me?and please give me some tips. 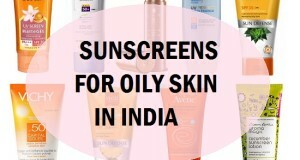 If your skin is oily then use a gel based sunscreen or for the normal to dry skin use any lotion like sunscreen. 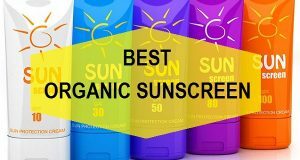 Mem,plz tell me some gel based sunscreame n lotion which is best for me. I like Lotus herbals Safe sun gel sunscreen with SPF 20.
i am ravi.i qm 21 year old . before i have pimples and now pimples over but i get on skin some black . i want to clean that black but how. tell me some tips on email please…. You can apply multani mitti face pack once in a week and also scrub the face 2 times in a week. I m 15 year boy.My skin is black n some dark spoat.How i remove the spoat.please give me some tips. Use tomato juice over the spots when you go to sleep and wash the face in the morning. I am Priya . My face and neck is dark than my body. To get back to my my body color what I can do . Please help me.